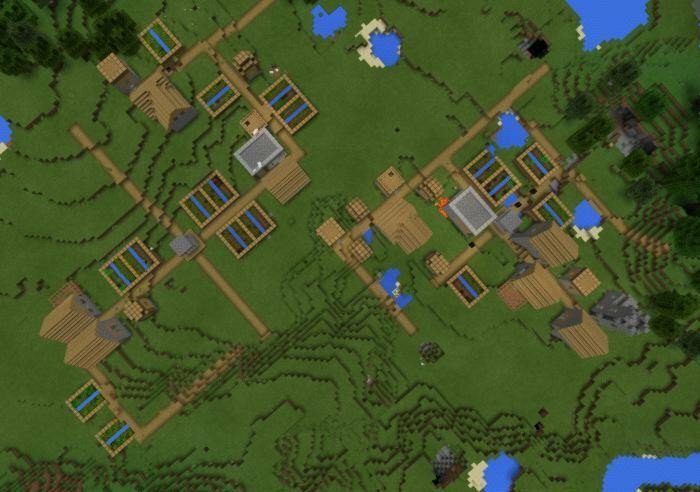 In this seed you will find two villages with two blacksmiths and a lot of resources in the chests. It is a good place to start the game, because of big amount of food and possibilities to trade in that location. To find the villages, you need to walk over the hill in front of spawn, then walk to your left for about 200 blocks. Four villages at once: can u follow me?